Lohar, Carpenter, Goldsmith, Tamrakar, Murtikar, Jangid, Panchal and other Vishwakarma in Jharkhand. About Yourself: Myself is sanjay kumar, working in defence accounts department as a assistant accounts officer. Presently I am posted at Allahabad. About Yourself: Working as compurter officer at sahara india region office giridih. About Yourself: Working as a district vice President of Marxist student federation -related to Marxist cording committee(MCC) MCC is a political party. About Yourself: Well my real name is shubham kumar vishwakarma and now i am studying in i.sc. About Yourself: I am 34yrs, 5'10", manager in a MNC at Gurgaon. Present Address: Sushant Lok, Gurugram. About Yourself: I am working in CIL. I am professionally qualified and an associate member of the institute of cost accountant of India posted in Coal India Ltd.
About Yourself: I like to interact with people. About Yourself: I am 20 years. About Yourself: I am final year architecture student in Amity University, Lucknow. About Yourself: Working as a project manager in private company.This company mainly in touch with computers etc..
About Yourself: I am working with Codiant Technology as UI UX developer and designer in Indore. About Yourself: I want to glorify my community by connecting with all who can't able to join this flow. About Yourself: I am Amar Chandra Jyoti from ranchi and right now working as Quality Assurance analyst in IL&FS skills. Qualification: Preparing for competative exam. About Yourself: I am simple boy. About Yourself: Myself Nepal Vishwakarma Home town is Patna but as per my son wish I will settle. I am Asst Manager in R & D centre Faridabad haryana. Previously I was in Haldia Refinery Indian Oil corporation before Indian Oil I was in TATA STEEl Jamshedpur. My wife Sangita is house wife. My son Rajneesh 22 yrs about to complete B Tech Mechanical Engineering and prepare for GATE. My daughter Ruchi is 20 yrs studying at Delhi University Bsc life science. About Yourself: I am an student. About Yourself: I am a development practitioner now. Present Address: Azim premji university, hosur, Bangalore 560100 Karnataka. Present Address: Vaastu Vihar,Project-2, Road-2, JW-24, Chira Chas, Bokaro-827013,Jharkhand. About Yourself: I am rationalist and logical person. 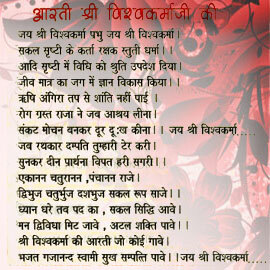 About Yourself: I am editor of Jharkhand Vishwakarma Jyoti (Periodical). Present Address: Sector - 4E, Bokaro Steel City. About Yourself: Meet and know me. Permanent Address: Sector 4-D Bokaro Steel City Bokaro (Jharkhand). About Yourself: I am working with CPWD New Delhi. Permanent Address: Bokaro Steel City navin co- operative. About Yourself: I am a simple man. About Yourself: I love to interact with our community people. About Yourself: MD. Paawan Samadhaan One stop solution for Computer, Mobile, Printing Press and Internet. Present Address: At - Banhatti, P.O. - Motileda, Giridih - 815302, Jharkhand, INDIA. About Yourself: I am very glad to see this website. About Yourself: I am from Jamshedpur and currently living in Mahipalpur,Delhi from past 9 years.I am working in TCS.I am married and have a 3 years old daughter.Let me know if i can help you guys in any way. About Yourself: My father's name is Late Raghunath Sharma. We are in joint family. My big brother in in Airforce. I am pursuing MA 2nd year from Patna University. We live in Barharwa, (Sahibganj), Jharkhand. Present Address: C/O- Ashok Engg Works, Sabjimandi, Po-Barharwa, P.S-barharwa., Dist- sahibganj, Pin-816101, Jharkhand. About Yourself: I am sober and cool having good management skill. I am 43 years old. I have a watch/clock shop in which repairing and wholesaling is executed. I am also a good singer. Earlier I also managed orchestra in Giridih Town, Jharkhand. About Yourself: I am Branch Incharge of Vishwamirta India Pariwar Tisri, Giridih. I am a simple person. About Yourself: Hi I am very frank open mined, having my own business in Jamshedpur..having small family. About Yourself: I live in Lonavla Maharashtra but my native place is Japla Palamau Jharkhand. I am intrested to join Lohar Samaj. About Yourself: I have two brother and three sisters. My father is businessman and mother is house wife. Two elder sisters got married. Present Address: C/O: Rajendar Sharma, Shivpuri Balidhi (Petrolpump), Distt: Bokaro, Thana: Balidhi, Bokaro , Jharkhand. About Yourself: I am very descent and simple guy. I believe in respecting one's feeling. My aim is to qualify CAT. I like to play cricket and volleyball. About Yourself: I want to do something in the development of our community. About Yourself: I am a hardworking. I was also thinking of this type of web site. About Yourself: Working as Manager in Leading Automobile company in Pune. About Yourself: I want to take help from our communitty to get tribal certificate. About Yourself: I am very simple man. My thinking is to do any work, there should be no shame. About Yourself: Do I stay focused on the bottom line so that I can gain the maximum return and reap the full potential of my thinking? About Yourself: I am simple. I want do something for our Samaj. Present Address: D 478 Lajpat Nagar sahibabad Ghaziabad . About Yourself: Hello to all of you our lohar community friends and respected sir. Myself Suraj Sharma working with uninor company as distributor. About Yourself: I am Central Govt. employee and residing in Mumbai with my family. I have two sons, both are studying. About Yourself: I am Brahma Nand Sharma living in Jamshedpur. I am working as School Librarian in a English Medium School at Jamshedpur in Jharkhand State. Present Address: At Lalbunglow PO Mohuda. Distt. Dhanbad. About Yourself: Living with high social values and its good to be a blacksmith. About Yourself: Running high tech export manufacturing plant in jharkhand state and proud to be a blacksmith. Qualification: 12th board 2012 , passed form 1st div. Present Address: Indrapuri Road No. 1, Ratu Road Ranchi, Jharkhand. About Yourself: It would be unfair for me to judge myself but I am reasonably a successful person.Contact me to know me better. About Yourself: I am from jharkhand district kodarma, and i am living in Chennai, working as zonal president and three state incharge of this organisation called "TIGER"
About Yourself: I am loyal and honest about my duties. About Yourself: Originally belongs to DEORIA UTTAR PRADESH I am very very simple person and caring always try to help any needy person n believes in care 2 our parents . Trying to uplift our society but due 2 busy schedule i am not getting upto d mark . We are 3 brothers and 2 sisters , both married my Eldest sister is in Govt High School, RANCHI AND ELDER BRO IS SCIENCE TEACHER IN GOVT PRIMARY SCHOOL, RANCHI AND ELDEST BRO IS PROF IN COMMERCE COLLEGE , Dhanbad. About Yourself: I am running a Foundry Unit and manufacturing Auto Components for Tata Motors Ltd. in Jamshedpur. About Yourself: I am working as Goods Guard in Railway. I have three daughter. Two are married and settled. One is divorced. I am searching a groom for my sister. Her age is 39 years at present. Present Address: At + Post: Chandrapura, Near Sunday Market (Old Market) Distt: Bokaro (Jharkhand) Pin - 825 303. About Yourself: I am Sanjeev Kumar belonging to Bokaro Steel City, Jharkhand. Recently i settled in Delhi. I'm engaged in Insurance Business in India. Present Address: B-725, Street No. 24 Sant Nagar, Burari. Permanent Address: Qr. No. 493/III-A Bokaro Steel City- 827003, Jharkhand. About Yourself: I am a research scholar in IISc,Bangalore. Present Address: Anil Kumar Sharma, Research Scholar, Geotechnical Division, Department of Civil Engineering, IISc, Bangalore-560012. Permanent Address: Anil Kumar Sharma, C/O: Sunil Kumar Sharma(Brother) Putki New Colony,Post:Kusunda, Distt:Dhanbad,Jharkhand,Pin:828116. About Yourself: I am residing in Jharkhand but i am origanly blongs to Bihar state. About Yourself: I belong to Palamau, Jharkhand.